It's been several years since we started helping patients stop the pain from herniated discs of the lower back and neck, and Living Well Medical in NYC has become a place where those who are suffering can get help. Looking back on things, I think the turning point for us might have been when we added non-surgical spinal decompression, but there was a time when I was much more skeptical. After all, adding a treatment only makes sense to a practice if it can help people. Any new technology will undergo close scrutiny, and for medical technology, the closest scrutiny often comes from within the medical community. That's how it was for me and spinal decompression. Not wanting to jump the gun, I looked around and researched the different machines. My colleagues who had integrated the systems into their practices also weighed in on it, and (more importantly) I heard from patients that had been through treatment for herniated or bulging discs. 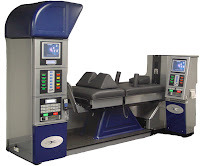 No matter where I asked around, the signs were encouraging, so after holding out for a few months, we added one to our office - a DRX 9000 spinal decompression system - and it's been everything we hoped for and more. We've seen hundreds of herniated lumbar and cervical disc patients find pain relief at our NYC office, and their improvements have only further shown to me that we can make a difference in people's lives with this technology. That being said, spinal decompression therapy isn't for everyone; there is no such thing as a 100% effective treatment in medicine of any kind. Some new patients suffering with back pain will ask, 'can non-surgical spinal decompression help me?' and the answer can only be obtained with a full examination. That's why we encourage patients to come in and see us at Living Well Medical before they even consider surgery. Maybe it will be necessary to seek a surgeons help, but what if it isn't? What if spinal decompression works just right for you? Let us help you make the most informed decision you can, so you can get on with your life and say goodbye to the pain. 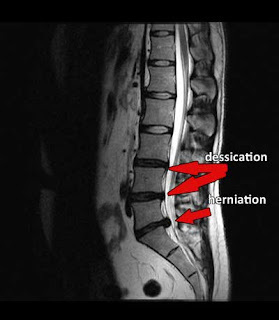 Call our office at 212-645-8151 or visit the personal site of Dr. Steven Shoshany to learn more about spinal disc decompression.